"Midlands Building Control Consultancy Ltd was very impressed with the quality and standard of the 'one to one' training provided by the Sandland-Taylor Consultancy. Simon Sandland-Taylor had been recommended to us by a client that was extremely happy with a bespoke training package that had been specifically designed for them. We approached STC and advised them what we required from the training. As part of the personalised service not only were we able to agree on content, but also specify the depth and detail required in what we had identified as being key areas. Prior to the training we received and approved a training plan complete with learning objectives and required learning outcomes. The training was excellent and delivered on all the learning objectives and desired outcomes. In addition to the training on the day, we were provided with a series of questions to help consolidate learning and as a source for future reference and personal development. To round it all off staff were given CPD certificates for our professional records. We have now arranged for further training sessions to be held at our offices on dates and times that are the most convenient to us." "We had been refused planning permission to remove a number of Corsican pine trees in a conservation area. Subsequent to this decision the planning authority placed tree preservation orders on each tree. This reduced the likelihood of us being successful with any future appeal to virtually zero. However, we sought advice from the Sandland-Taylor Consultancy who visited the site and wrote a compelling report for the removal of the trees. They were able to articulate that whilst it would be disappointing from a conservation perspective to lose the trees, the overwhelming consideration should be to secure public safety which could not be guaranteed should they remain. The planning committee agreed that this was necessary and gave consent. Thanks for a great result"
"Your bespoke training does exactly what it says on the tin. This personalised service gave us the freedom to select course content specific to our training needs. The two day course on Means of Escape in Fire was run in Nottinghamshire and Leicestershire enabled us to provide essential training to all surveyors throughout the district, offering them a choice of date and venue." "Brilliant. Exactly what was needed. We challenged you to put together a one day fire safety seminar and workshop. The morning session on Fire Safety legislation was spot on as it covered all the aspects we requested. The afternoon workshop on means of escape in flats proved to be a great success as the delegates thoroughly enjoyed the case study and sharing different solutions to the various issues raised. Overall 10 out of 10." "With their experience in Building Control Surveying, we approached the Sandland-Taylor Consultancy to provide some bespoke dangerous structures training for our Surveyors based across the East Midlands. We specified the topics we wanted covering and left the rest to them, and the end result was superb. The course content was first class and delivered by an enthusiastic, knowledgeable and supportive trainer. The practical workshops were both engaging and interesting, and offered the opportunity for constructive discussion between the trainer and delegates, and there was a good balance between the these and the necessary legislative topics. The piece de resistance, course notes that were not only legible but also an excellent summary of the course content. 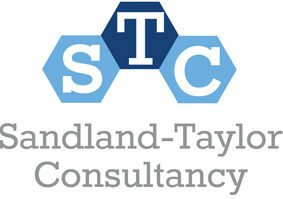 We will definitely be looking to use the Sandland-Taylor Consultancy for training in the future. Thank you"